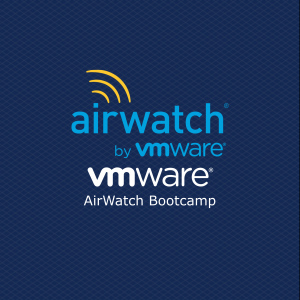 This four-day boot camp is a combination of the VMware AirWatch®: Configure and Manage and the VMware AirWatch: Configure and Deploy Integrated Solutions courses. These courses take you from learning the foundational skills needed to configure and manage your VMware AirWatch environment to advanced operations on the VMware AirWatch platform. You will learn how to enable containerized applications, deploy and manage corporate email, and integrate VMware AirWatch with your enterprise resources.